In most sectors, there are many providers offering what seem to be the same or similar services. With lead generation services, it’s no different. Therefore, working out the criteria for how to choose a telemarketing company is important so that you get the provider that best suits your needs. 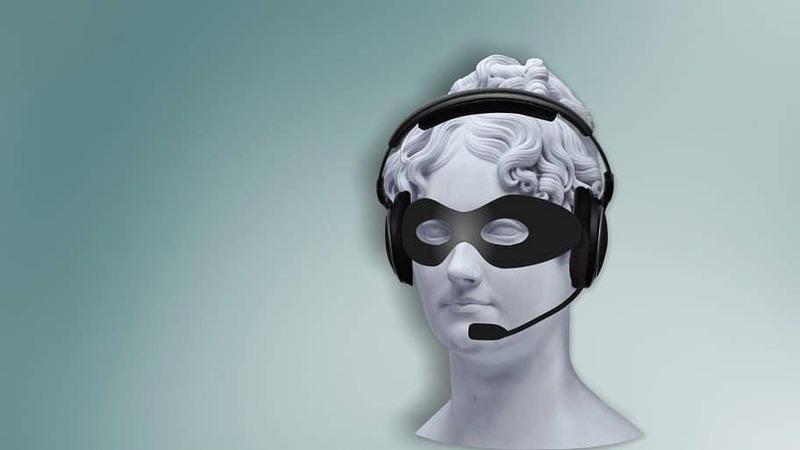 You don’t want to pick a telemarketing provider that hides poor performance behind a mask of fancy promises. However, this is only a fair question once you’ve already made a decision to outsource your telemarketing activity. And, that becomes valid only assuming that telemarketing is deemed to be either your best route to market or that it should form part of the go to market strategy for your business in the first place. You see, whilst telemarketing can still be extremely effective, even in this digital age, it isn’t the only answer. But, we could say the same for most methods of outbound marketing. In an ideal world, customers would beat a path to your door and you wouldn’t need to undertake outbound marketing. Inbound is all the rage and, if your business is fortunate enough to receive lots of fresh incoming leads, inbound enquiry management is probably what you need if you get so many enquiries that you’re unable to handle the workload. That’s a totally different telemarketing exercise to where you need to knock on doors so to speak. The other consideration here is whether to do it in-house or outsource. Check out our video on this. There are pros and cons of both approaches. If you’re considering a telemarketing project, your first task is to establish whether your product or service offering and your target market lend themselves to telemarketing in the first place. It’s fair to say that telemarketing works out most cost-effective the higher the value of sale. That is likely to deliver a stronger ROI from your telemarketing activity. If purchase is a considered decision, it’s probable that a person to person communication method is required. And, that is the strength of using telemarketing. So, if you’ve decided that outsourcing telesales is for you, you need to consider how you’re going to filter the quality suppliers from those that talk a good game but ultimately, fail to deliver. This comes down to a number of basic factors. You probably need to check out a number of agencies before shortlisting. The quickest route is to look online and that means both websites and social presence. What do the agencies say about their business and approach? How do their websites compare? Of course, recommendation carries the most weight. If you know someone that has used an agency in the past, that’s great. It doesn’t necessarily follow, however, that they will deliver for you, though. Your proposition and target market and the level of difficulty and/or complexity could be hugely different to the person that made the recommendation. Equally, the person that recommended you may have undertaken a large project whilst your trial project may be small by comparison. In that case, costs may differ dramatically so, you still need to do due diligence. Speak to a few companies and ask the questions for which you need answers. Whilst it’s technically possible to fudge this, a series of robust testimonials (especially from reputable companies) is a good indication that you’re in safe hands. If your agency is willing, ask them to provide references to which you can speak to really check them out. I specifically didn’t mention industry experience here. There are different schools of thought here. Some companies insist on experience of their industry. However, every company has a different approach and often, the company and decision maker targets may be different. Equally, if calling is undertaken, just because you’ve targeted a specific company in the past, doesn’t mean that the same company will be open to another approach. Likewise, it’s not always the case that the same telemarketers will be on the campaign. What’s more, the art of telemarketing is generally in building rapport, asking the right questions, getting the intro to the call right and understanding WHY the customer should buy rather than what they are buying. That means that it’s more about the quality of approach and briefing, the validity of the data and the ongoing campaign management than simply having done work in your field in the past. Therefore, don’t jettison an agency purely because they lack experience in your field. Some companies even prefer to avoid any potential conflict and work with an agency that hasn’t worked for a competitor. When you check the telemarketing company out online and when you speak to the telemarketing agency staff, do you get the sense that they have your interests at heart or does it feel that they want to sell to you at any cost? Hopefully, the days of the latter approach have gone. However, watch out for an agency that seems so sure it can help that it reels you in with lofty promises. It’s much better to hear a balanced viewpoint. Not every campaign is successful. It’s more reassuring to hear a ‘warts and all’ account of telemarketing than a gung-ho approach that promises the earth and ultimately under-delivers. Do you trust the person at the other end of the phone? Often, the salesperson wins the business then disappears from view. Therefore, it pays to meet or speak to the people that will be delivering the campaign. You don’t necessarily need to speak to the actual caller(s) at this stage (you should be able to suggest a change of caller if you’re not happy anyhow) but it is important to have faith in the operational person that will manage, measure and report on your telesales activity. You want to hear a realistic appraisal of what is likely to happen when you decide to spend your money on a trial with an agency. They should discuss and agree with you what success looks like before kick-off. There’s nothing worse than getting to the end of a telemarketing campaign and you learn that it hasn’t worked. Whilst you may have the same result if you do it in-house or if you use other methods of marketing, transparency and openness are assets when it comes to choosing your partner for lead generation. What information does the agency provide? How frequently do they provide reports? What do those reports contain? Do they provide sales lead sheets? How about recorded calls? What about access to reporting? Do you have visibility of your database at all times? And, can you see your sales pipeline build? Finally, how frequently will they communicate with you and how? The more control your agency provides you throughout the exercise, the more comfortable you should be that they won’t give you a nasty surprise and waste your money unnecessarily. Whilst there are few guarantees in marketing, testimonials are often a good measure of the calibre of results. 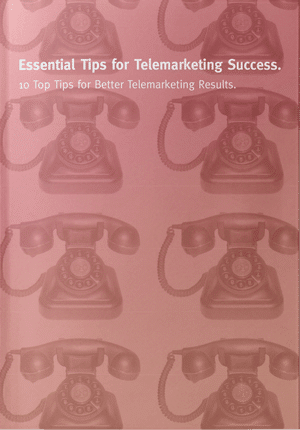 However, you will want some indication of likely results from your telemarketing agency. Tell them what success looks like for you. Hopefully, that will spark a discussion about how feasible those results are likely to be and the likely return on investment. We’d hope that your agency will provide pragmatic input even at the risk of losing the business. Whilst every provider wants to win clients, some campaigns can be destined to fail if, for example, expectations are too high compared to the amount of time allocated and/or against the target audience and proposition. There are lots of factors to consider when it comes to delivering a successful telemarketing campaign. It’s important that your agency discusses these with you and you agree realistic targets for any trial. Then, it’s a case of providing ongoing monitoring and feedback to achieve the necessary results. Check out our blog on how much a telemarketing campaign should cost. Of course, cost is a major consideration when selecting an agency. It would be ridiculous to say otherwise. However, whilst most customers would say that it’s about quality first, there really is a balance between cost, value and results. You need to consider what inputs increase the chances of delivering positive results and the experience you gain from the exercise. Reporting should be open and informative (see above). You should expect a report at the end of the campaign. And, you want to be sure that you get value for money. You may only be interested in immediate results. But, what about your future pipeline? Clearly, you will want some sense of comfort that the agency isn’t so far out of kilter from others in the field in terms of cost. Cost per lead often comes into this kind of discussion. Expressions such as ‘skin in the game’ and ‘put your money where your mouth is’ and ‘if you’re so confident in your abilities….’ Come into play here. If this is a model that you’re considering, check out our blog on pay per lead.